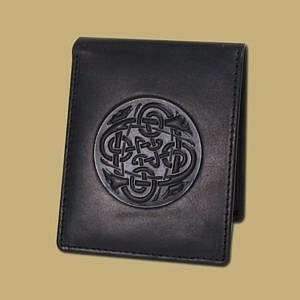 Premium Waxed Black Leather Celtic Embossed Leather Magnetic Money Clip. 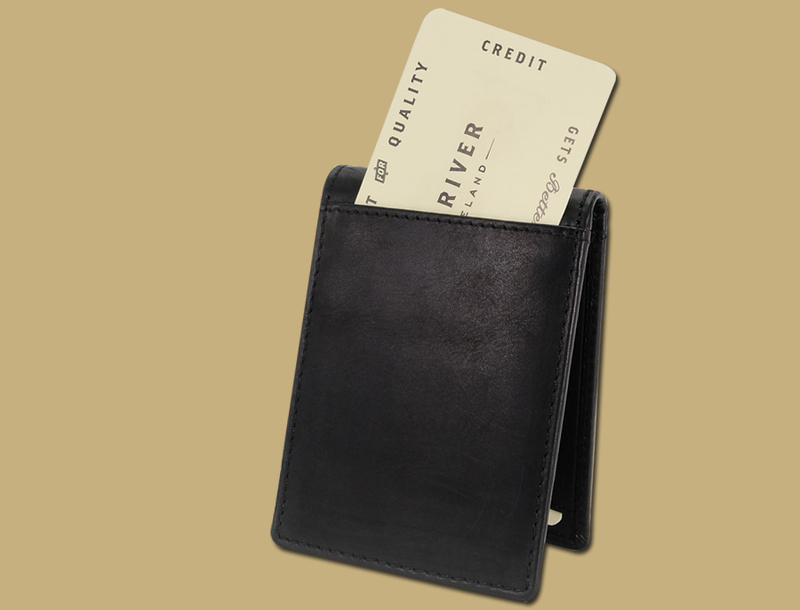 Holds plenty of cards and fits in front or back pocket. 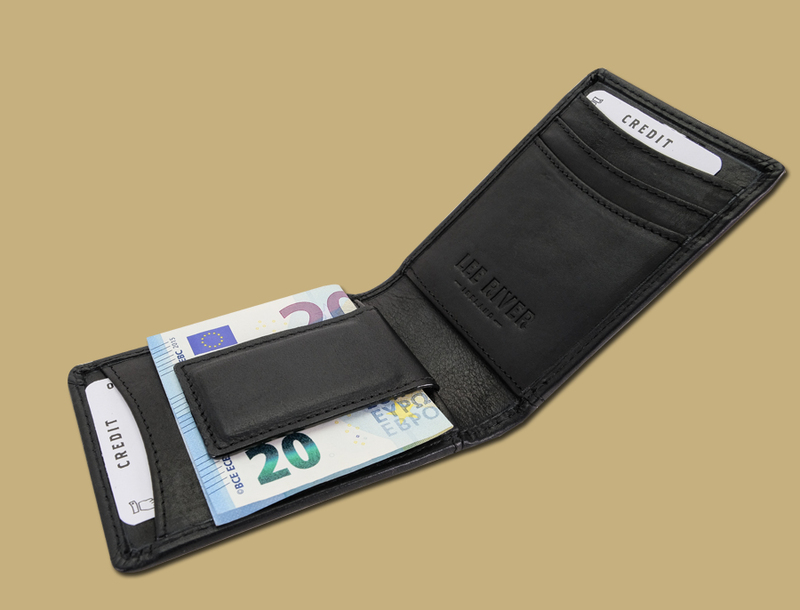 Easy Access Front Slot For Your Most Used Cards. 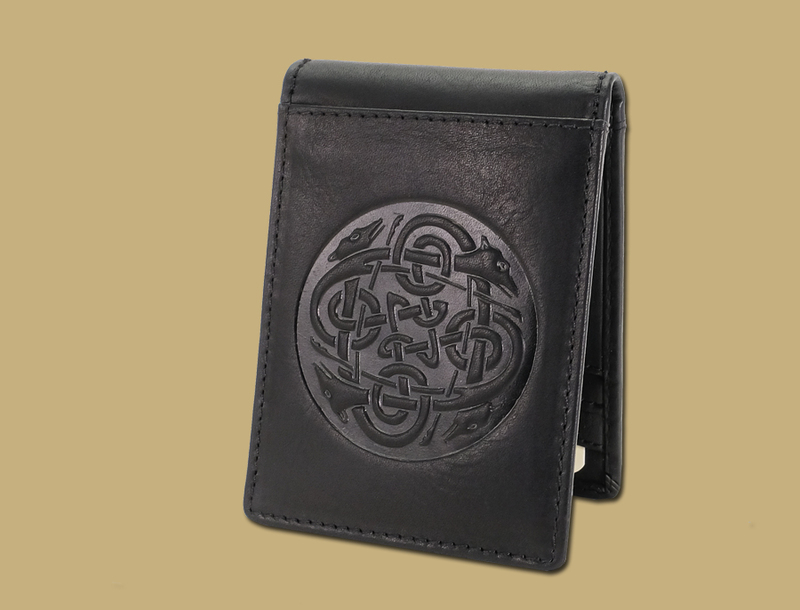 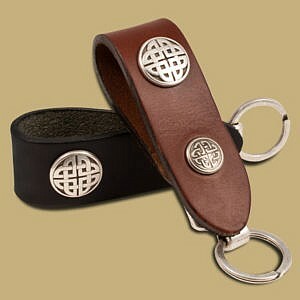 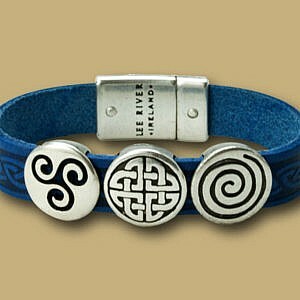 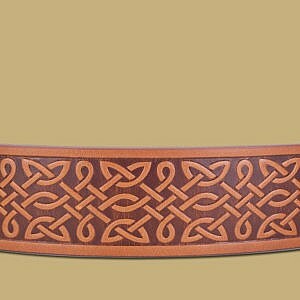 Designed by Lee River Leather here in Cork, Ireland, featuring a detailed and heavy embossing of 4 Celtic Hounds.